And we also do Beautiful Equipment,Hair care and skin care with good quality and excellent price. Our products are exported to Europe and South America,Middle East and other countries. 4. How do you ganreente your products quality9 We have a lab to do the quality test, to ganreente our quality. We have our own research and development team, with many years experience of manufacturing hairdressing appliances. 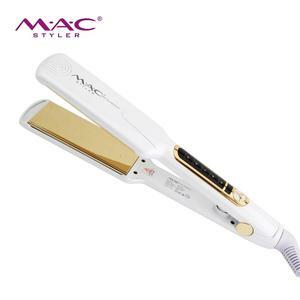 We specialize in the production of hair straightener, hair curler, hair extension iron, hair dryer, ultrasonic hair razor , etc. 3. We always try our best to fit customers needs, like, packaging , products material colour, and other detail we can do as our customers request. We are specialized in the research and development and production of Hair Beauty Series. If you are interested in any of our products or would like to discuss a custom order, please feel free to contact us. 8. How about the lead time for mass production9 --- Generally, the lead time is 15-35 days after getting the confirmation of the order and deposit. Q: What certification do you have9 A: We have CE and RoHS certifications for hair dryer and shoe dryer issued by Dekra, from Germany. We are also open to apply for other certifications upon request after the order is confirmed. Q: Do you attend any trading show9 A: Yes, we attend China Sourcing Fair in Hong Kong every Apr. and Oct.
Shenzhen Haire Appliance Co., Ltd. 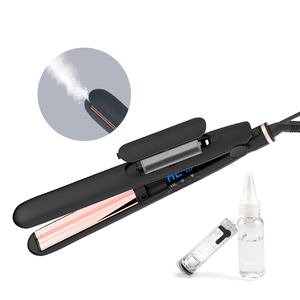 Steam hair straightener prices hair straightener flat iron made in china titanium Product Name Professional steam hair straightener/steam hair styler/steam hair flat iron/steam hair straightening iron Model Number KR-S088 Heater PTC/MCH available Heating Plate Ceramic coating/Touramline Ceramic/Nano Titanium for choice Plate Size W*L: 32mm*110mm Surface High quality plastic Power 35W-60W Voltage 110V-240V,50-60Hz Temperature Setting From 150C to 235C (300F to 455F) Max Temperature 235C (455F) Color Any color or printing available for OEM & ODM Service Cord 360 degree salon swivel cord Plug US, EU, UK, AU, etc. 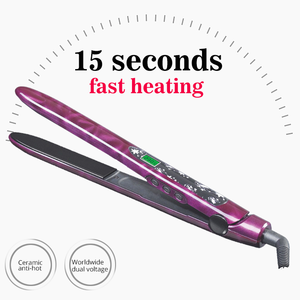 can customize as your requirement Auto Shut OFF Auto shut OFF with no use in 60mins Function hair straightening, hairdressing, keratin hair treatment with argan oil Product features of hair straightener prices : 1. 2 steam settings vapor-blast hair with unbelievable shine and smoothness 2. 6 temperature-lock settings provide the perfect finish for your hair type 3. Heats to Keratin-ideal 450&ordm; max temperature swift 4. Automatic temperature lock for consistent heat throughout use 5. 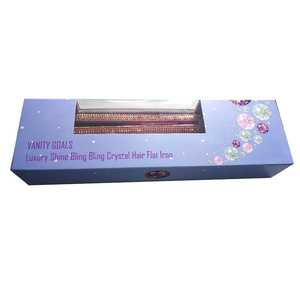 Vented Tourmaline-Ceramic plates infuse hair with therapeutic argan Oil 6. Stylish and functional 9&rsquo; burn-resistant textile cord 7. 360&ordm; swivel cord prevents tangling and keeps you on the move. 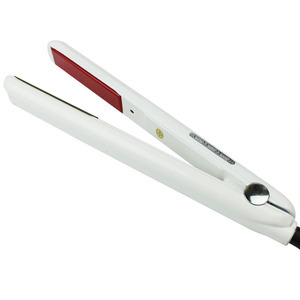 Alibaba.com offers 2,233 hair straightening iron prices products. About 74% of these are hair straightener, 1% are electric irons. 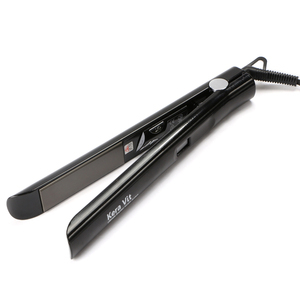 A wide variety of hair straightening iron prices options are available to you, such as titanium, aluminum, and ceramic. You can also choose from led, lcd. As well as from free samples, paid samples. 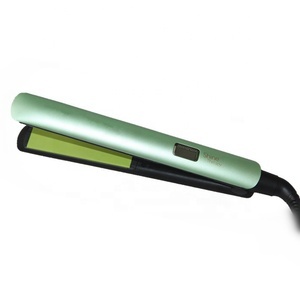 There are 2,234 hair straightening iron prices suppliers, mainly located in Asia. 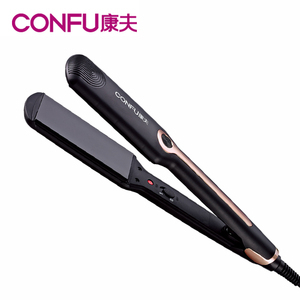 The top supplying countries are China (Mainland), Japan, and Hong Kong, which supply 99%, 1%, and 1% of hair straightening iron prices respectively. 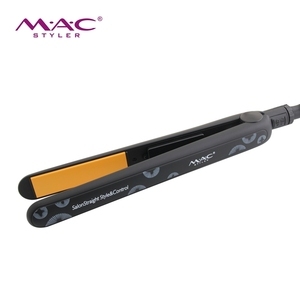 Hair straightening iron prices products are most popular in North America, Western Europe, and Domestic Market. You can ensure product safety by selecting from certified suppliers, including 307 with ISO9001, 62 with Other, and 39 with ISO14001 certification.